GRAFENWOEHR, Germany — U.S. Army Garrison Bavaria community leaders and support agencies recently introduced the Alcohol Incident Reduction Initiative to decrease the abuse of alcohol and resulting risky behaviors in the community. The aim of the initiative is to endorse and encourage healthy life skills so that alcohol is not a person’s number one option. Such encouragements can be trips in the community or healthy living activities, participating in the United Service Organizations, volunteering in the community, getting involved in one’s unit or other activities, “something other than: alcohol is your first choice,” said Kreitzer. Past projects and events included mandatory training about substance abuse, information tables and AFN spots to bring awareness to the community, Dinner’s On Us in partnership with the USO where nonalcoholic beverages were served, and the recent proactive policing safety stops. 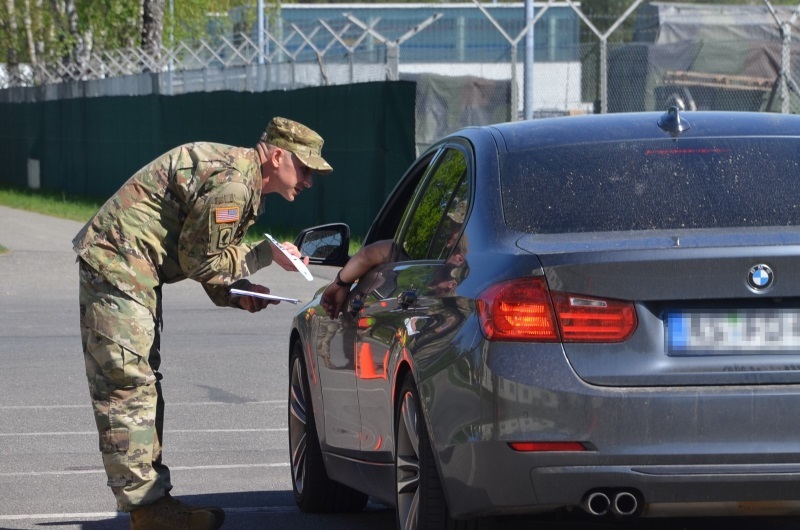 The Army Substance Abuse Program, Directorate of Emergency Services, Regimental Engineer Squadron, 2nd Cavalry Regiment and 709th Military Police Battalion teamed up to conduct proactive policing safety stops on Grafenwoehr Training Area. 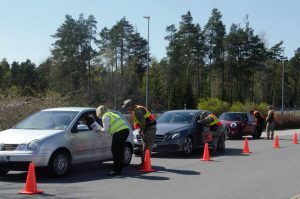 The effort is part of the Alcohol Reduction Initiative to decrease the number of alcohol related incidents and promote a healthy drinking culture in the community. “What we were looking for was building a positive policing relationship with the community and a proactive posture. It’s not an enforcement, but an assistance. We wanted to show them that the police aren’t there just to write tickets or correct you when you’re not doing the right thing, but they’re there to help you,” said Kreitzer. According to Kreitzer, last month’s efforts reached several thousand Soldiers, family and community members.